This 4-hour private mountain bike tour is completely customized to your desires and abilities. 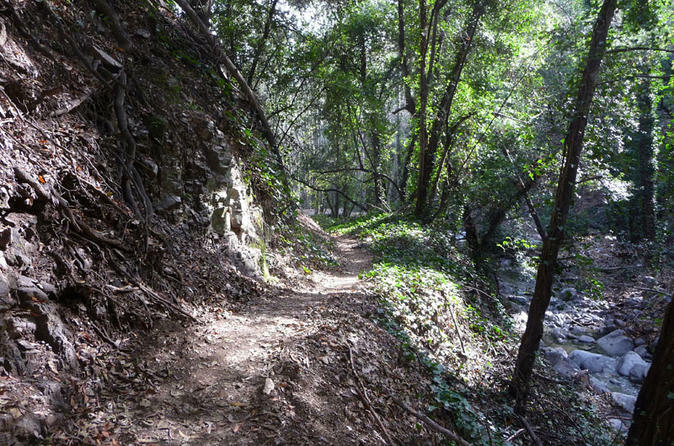 Your experienced, expert guide plans the best route through the local Southern California trails just for you. All you need to do is show up with your bike and gear (hydration pack, helmet, gloves, food, tool kit and supplies) and follow the leader. On this 4-hour tour, you’re riding with a guide that has has navigated thousands of adventure seekers on all the local trails in Southern California. Your guide is a route designer and expert navigator, able to piece together custom ride plans based on years of personal observations – not just downloaded data. All you have to do is show up with your bike and gear (hydration pack, helmet, gloves, food, tool kit and supplies). Then simply follow the leader, absorbing your surroundings as your guide maps the route. Before the tour, your guide will ask you to fill out a rider profile form. The answers help your guide determine the best possible route given your time constraints, desires, and abilities. One you've decided upon a location and time, all you need to do is show up ready to ride.